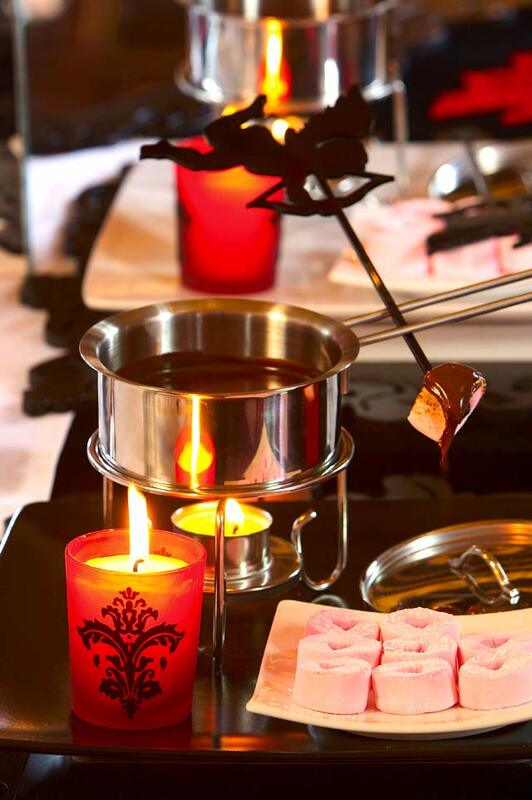 Using your cupid arrow, melt a marshmallow over the candle and dip into the decadent chocolate sauce. Place 2 cups cream, 6T cocoa, 5T sugar and 2T butter in a saucepan and slowly bring to the boil. Lower the heat to medium and allow to simmer for 15 – 20 minutes or until the sauce has thickened, is darker in colour and glossy. This will make 2 cups. Melt about 200g of the chocolate of your choice. Add 1-2T butter and enough pouring cream to thin the mixture to your liking.